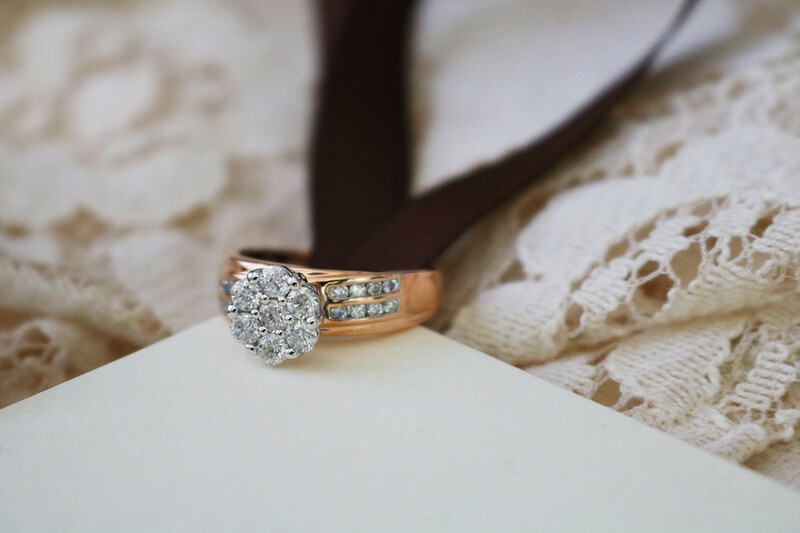 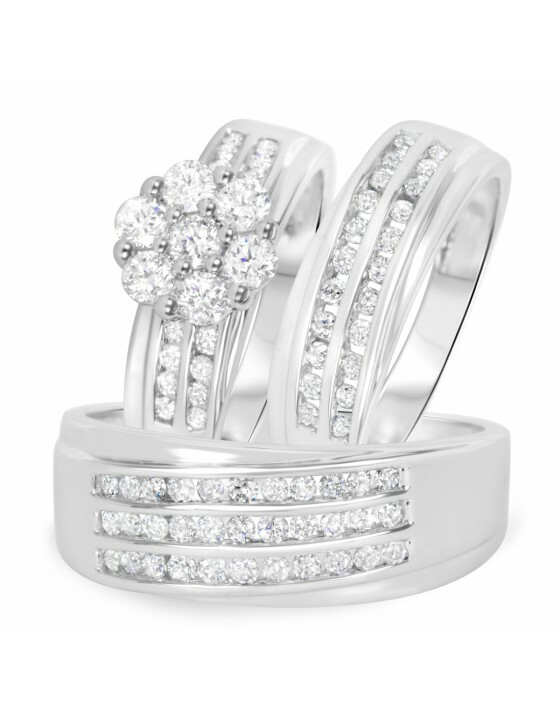 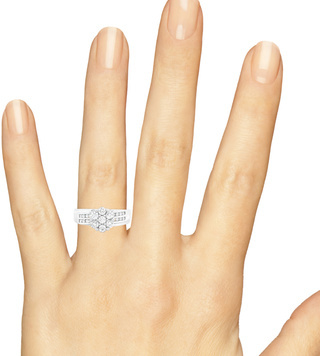 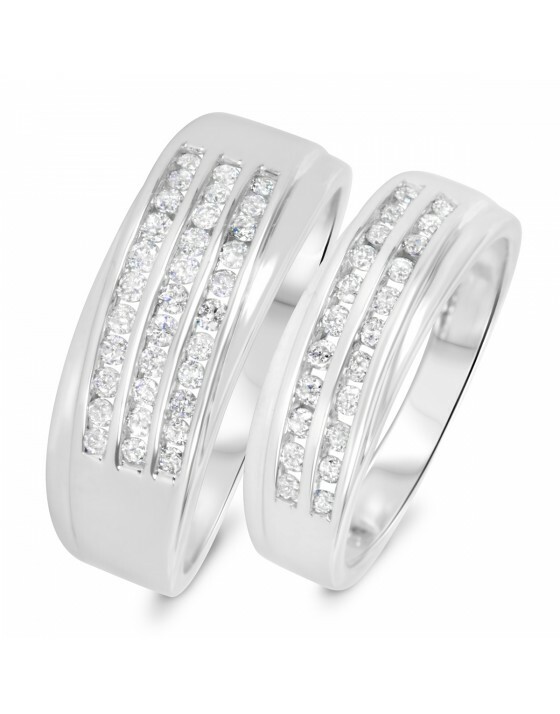 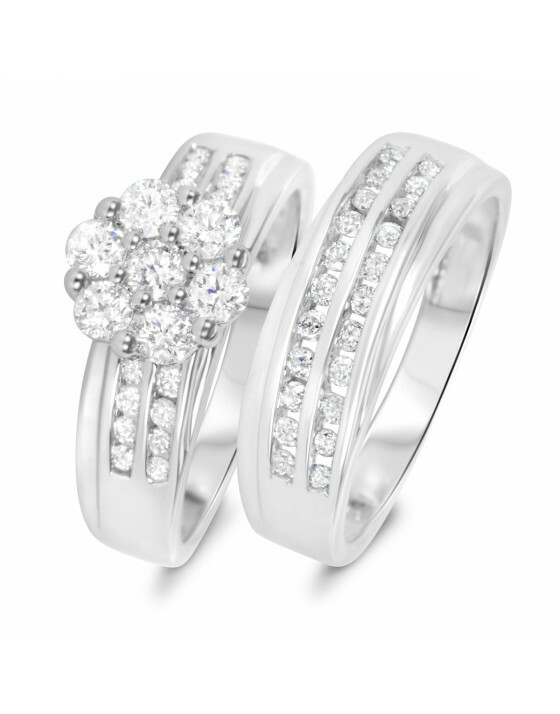 A 20th century ring style crafted to with soft, rounded edges that are bold. 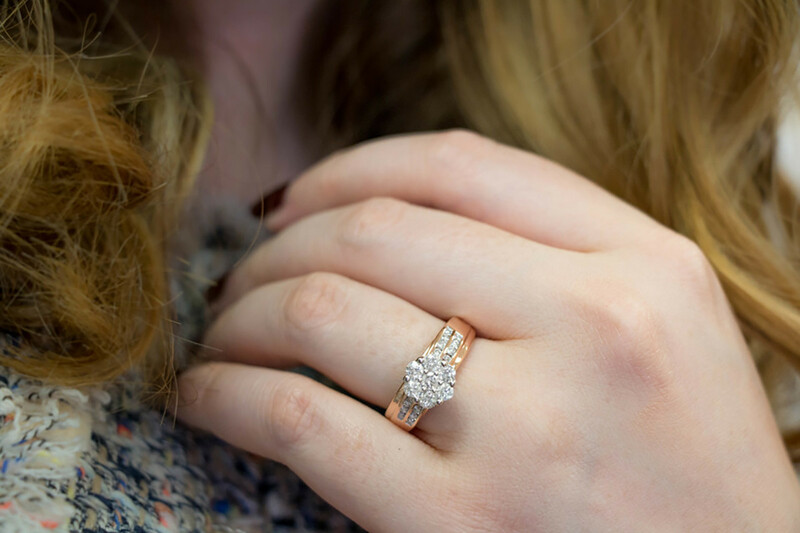 Taking the traditional shape of the round brilliant diamond & enhancing it with smaller round diamonds to reflect light in all directions. 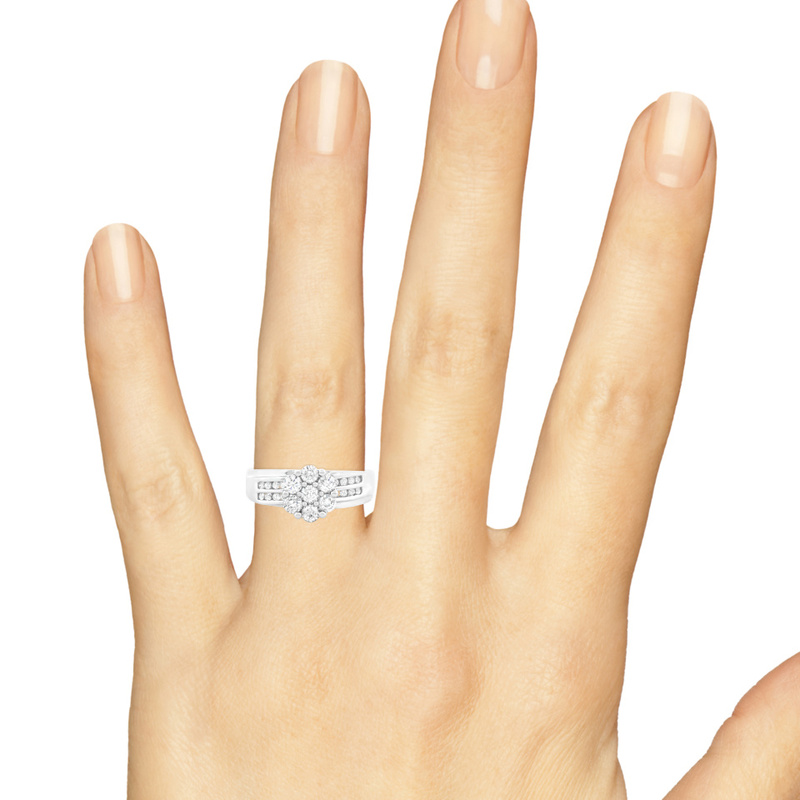 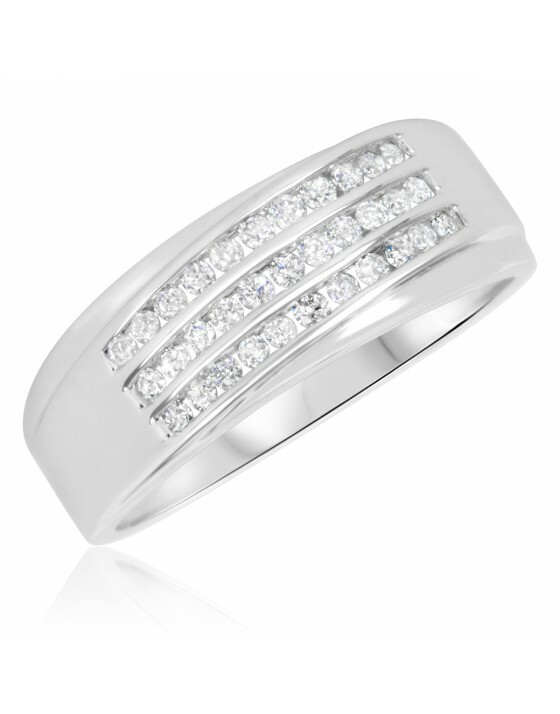 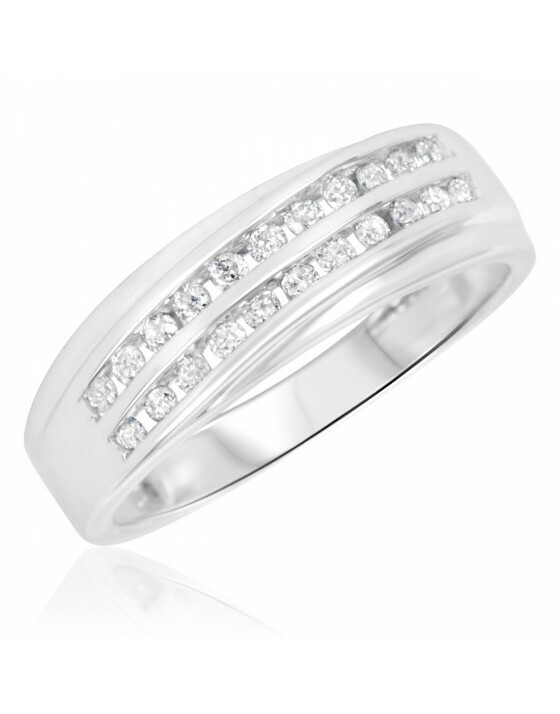 This beautiful Engagement Ring features a wide 6mm band with two diagonal rows of round diamonds across the band. 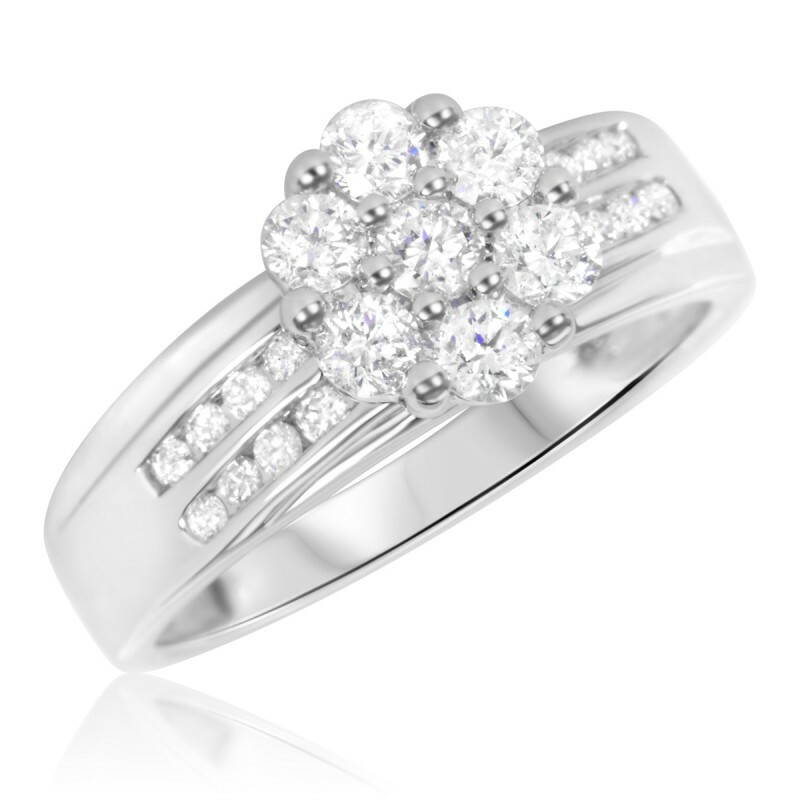 The raised center blooms into a flower cluster head of Round cut authentic diamonds carrying 23 diamonds within a glossy 10K White Gold setting.